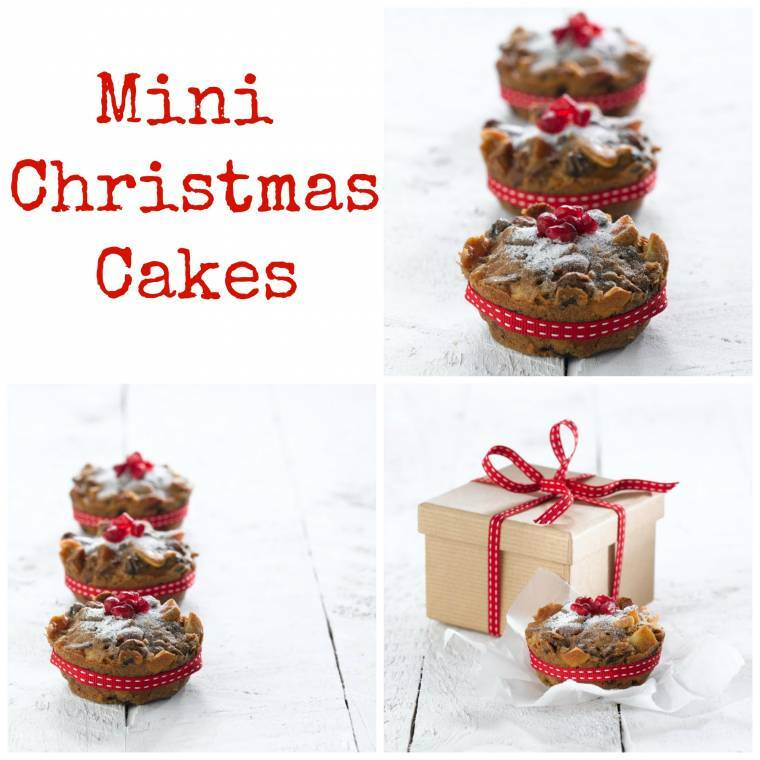 Mini Christmas Cakes: Homemade Christmas Gift Ideas. Great for homemade gift ideas this Christmas. Soak the sultanas, raisins, glace cherries and candied peel in the brandy for 48 hours, in a covered bowl, before making the Christmas cakes. Preheat the oven to 140°C (Fan 120°C), Gas Mark 1. Use 25g of the butter to generously grease the twelve cups of a deep muffin tin. Beat the remaining butter until soft in a large mixing bowl and then stir in the sugar. Sift the flour and mixed spice together into the bowl and beat until evenly combined with the butter mixture. Add the orange zest and juice along with the black treacle and gradually beat in the eggs, one at a time. Fold the alcohol soaked fruit and almonds into the batter and gently mix until evenly distributed. Spoon the mixture into the greased muffin tin cups. Fill to the top of each cup, but do not overfill. Bake on the bottom shelf of the preheated oven for 30-40 minutes. To test if the cakes are fully baked, insert a skewer or sharp knife into the centre of one of the cakes. The skewer should come out clean. If there is any mixture on the skewer return to the oven and continue baking until the skewer can be removed clean. Leave the cakes to cool completely before removing from the tin. Use a round-bladed knife to loosen the sides if required. Store in an airtight container until required. 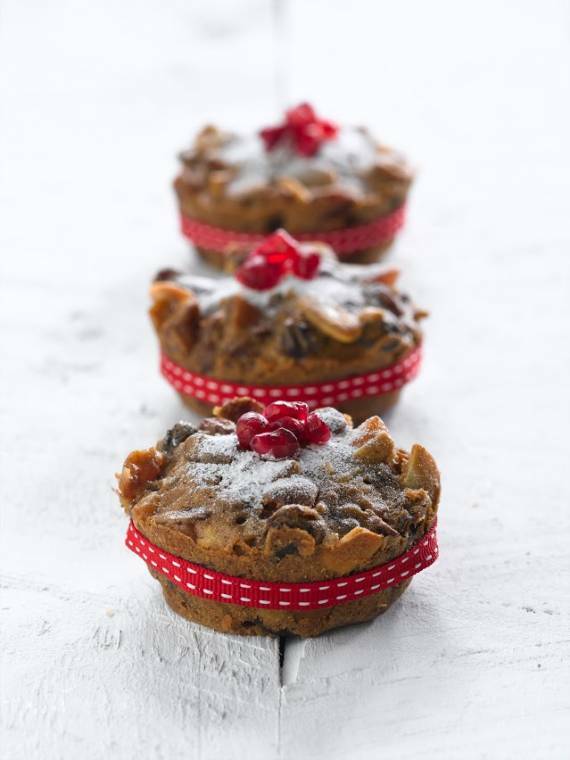 To decorate, dust with icing sugar, wrap a festive ribbon around the middle of each cake and top with pomegranate seeds. 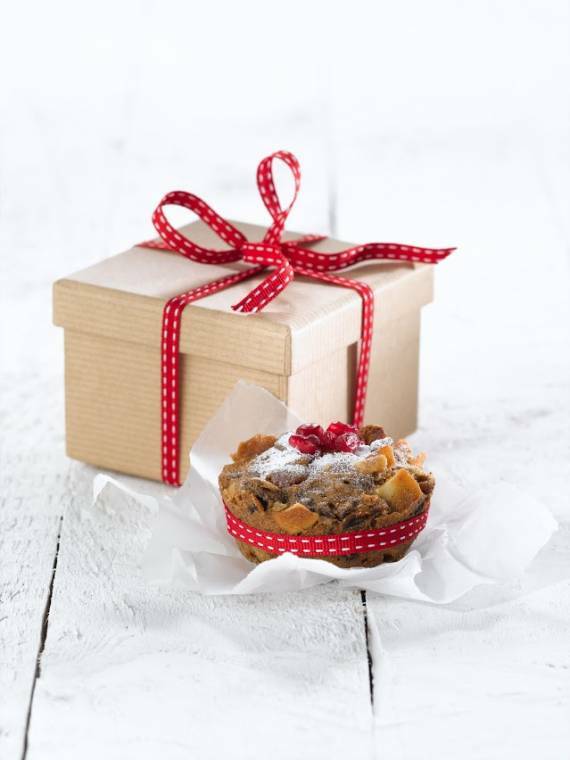 Cheat’s Christmas Cake: Quick And Easy Treats. Blackberry And Blueberry Christmas Cake. Orange And Cranberry Christmas Cupcakes. Boozy Sultana Cupcake with Brandy Butter Frosting. "25/11 Creative Mondays Blog Hop And This Weeks Features.."
You are certainly putting me in the mood for Christmas Claire! These cakes look great! Love that ribbon! 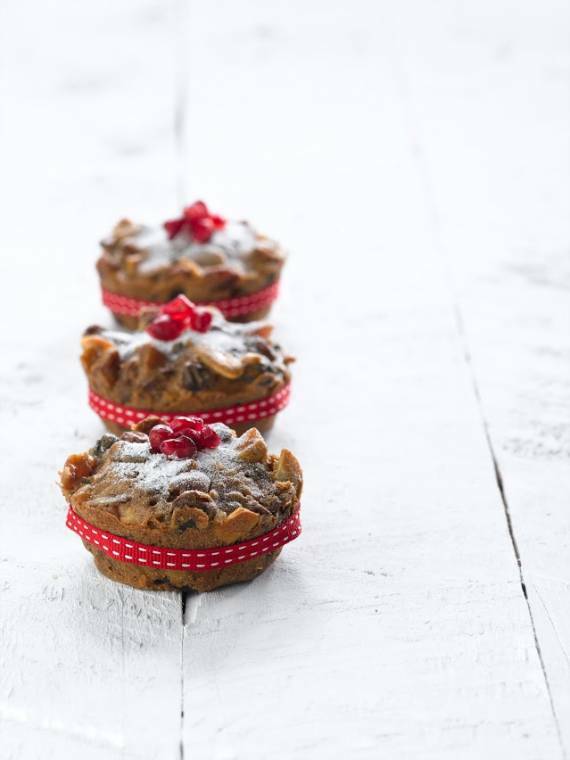 My fruit is soaking as I type to make my mini christmas cakes – So excited for Christmas too!